Plants, one of the major source for maintaining a healthy environment, has numerous functions and it provides a lot for the sustainability of life. Just like humans and animals, plants can also be affected by infectious diseases and get feeble. These diseases are caused by living organisms called plant pathogens which include fungi, bacteria, viruses and parasitic plants. They can also be caused by non-living abiotic components such as air pollution, nutrient deficiencies and various environmental factors. 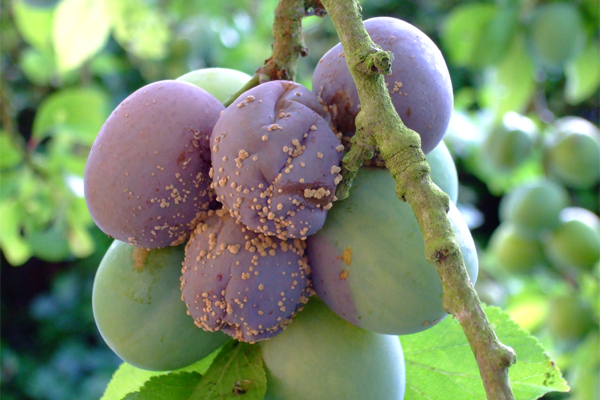 Plant diseases are constant threat to the world's food and fiber crops, forests and landscape plants. So it is very important to keep the plants healthy as it is the base of our food chain and hence comes the significance of plant pathology. Plant pathology, also known as phytopathology, deals with the study of diseases in plants and is one of the sub branches of plant protection science. Plant protection science is the branch of agricultural science which studies the ways to keep plants healthy by protecting them from various damages especially with an aim of higher production. Plant entomology or entomology (the study of insects), plant nematology or nematology (the study of nematodes or roundworms) and weed sciences are the other sub braches of plant protection science. Plant pathology is an apt career for those who have a keen interest in agricultural and biological fields. The studies in plant pathology mainly focus on plants mounting; understanding the organisms and agents that cause diseases; how the plants are affected by the diseases and how to control plant diseases. The field of plant pathology is interrelated to other biological fields such as microbiology, mycology, biochemistry, bio-informatics, virology etc. People who specialize in the field of plant health is termed as plant pathologist. Professionals in the field of plant pathology deals with plants as well as insects, fungi, virus, phytoplasmas like bacteria and parasites that causes diseases in plants. The major task of a plant pathologist is to keep the plants healthy by preventing, controlling and stopping the diseases infected by them and for this, they have to develop innovative ways. They try to control the disease by useful methods such as developing medicines, altering the conditions in the environment etc. Graduation or post graduation in biological science with required personal skills such as analytical and observation abilities will help an aspirer to start a prospective career in plant pathology.